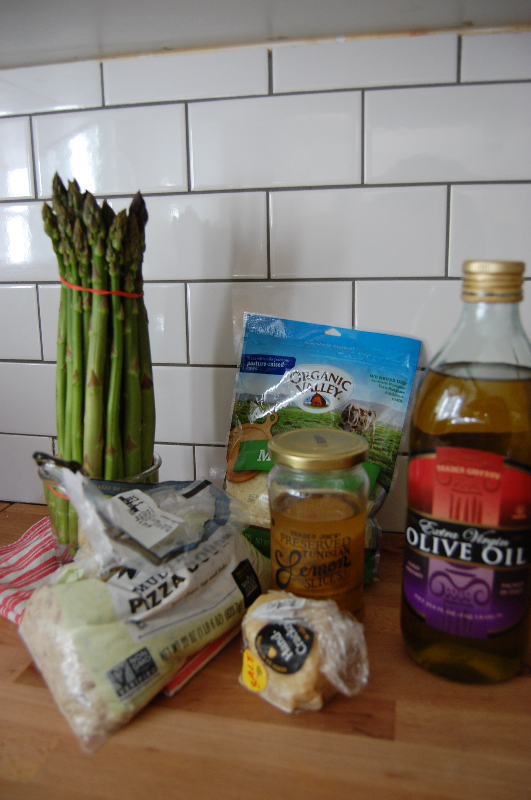 Farm Direct Coop member Alison adapted this recipe from Smitten Kitchen after the early spring share pickup featuring asparagus. Between the time of her submission and posting this recipe for all, I had the opportunity to give this a whirl in my kitchen. I can totally vouch for its tastiness utilizing fresh lemon as I had no preserves. Enjoy! 3. Stretch dough to cover pizza stone or baking sheet. 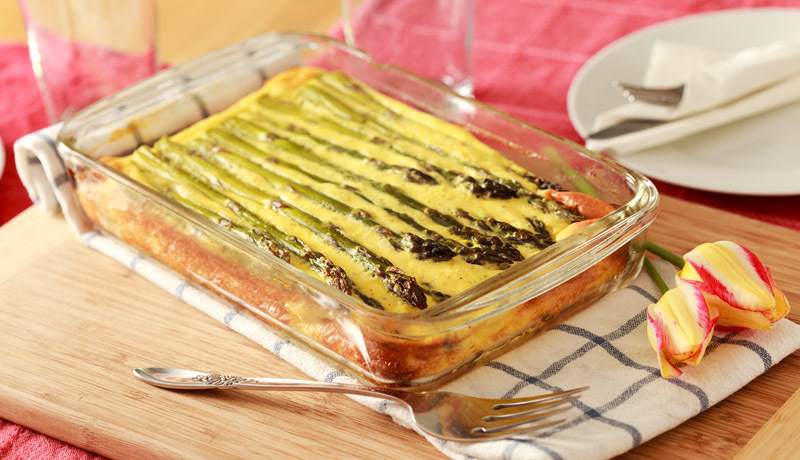 Cover with cheese, top with asparagus. If using preserved lemon, chop up into small bits and spread over asparagus. 4. Bake 15 – 20 minutes or until edges are lightly browned and cheese is bubbly. 5. Remove from oven and if using fresh lemon, squeeze juice of half lemon over the pizza. Back to my point! The fritatta. This CSA asparagus is gorgeous. I’d nearly forgotten how great CSA veggies are. I found a low fat recipe for frittata and it made a really lovely Sunday lunch. Whisk eggs and milk together. Add salt, pepper, parsley and cheese. In a pan on the stove, sautee mushroom in a bit of olive oil, until they start to reduce in size. Add fresh thyme, and wine. Add salt and pepper. Let the wine cook off (about 10 minutes). Before adding mushrooms to egg mixture, strain through a fine mesh strainer, to avoid having too much liquid in the fritatta. Lightly grease or spray your pan (I like using a bit of coconut oil). 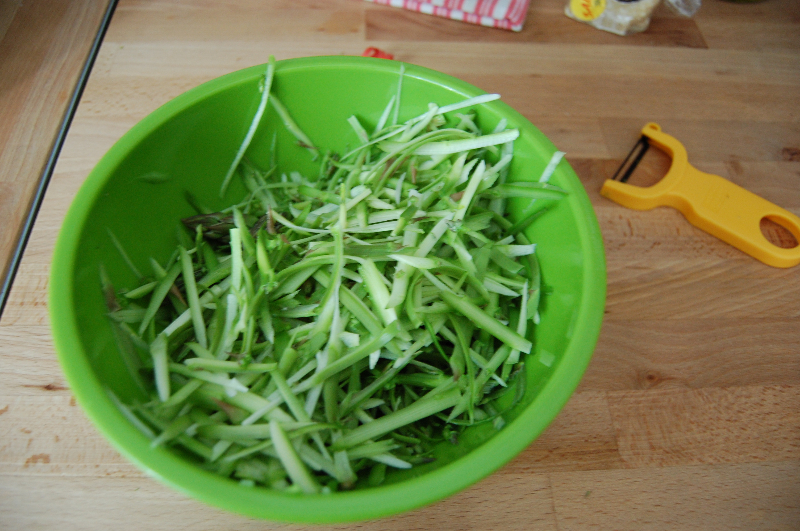 Pour in mixture, and arrange asparagus spears on top, in any fashion you prefer. Cook about 40 minutes, or until set.